In the opinion of many travelers, Spain is one of the most diverse countries in Europe. Stunning landscapes of the Pyrenees dotted with lakes and waterfalls, finest beaches and great resorts on the coastline of the Costa Brava or on a small and full of charm Menorca island, the white towns of Andalusia with the heritage of the Moors and the traces of the Gitano culture, to mention just a few of Spain’s wonders. 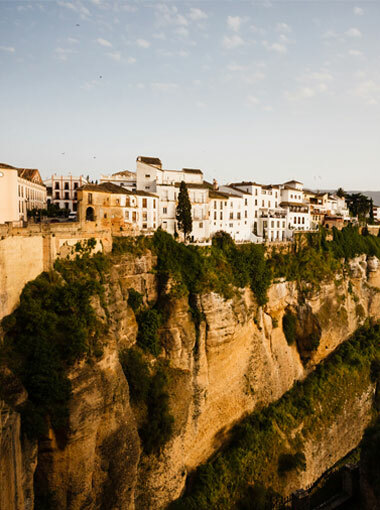 Coupled with wonderful weather, famous festivals and delicious cuisine, all those features make Spain a country, which is worth visiting not just once, but on many occasions, always making new discoveries. MICE&more is able to organize your upcoming business trip or vacation to nearly any corner of Spain. Please contact us to find out more!